Where is the route going? MTO consistently says that the final route has not been chosen but it will be defined by the Environmental Assessment. However, the Request for Quote document for bidders for the Environmental Assessment says that the HSR from Kitchener to London will stay within or be adjacent to the existing Hydro One Right of Way from the CN North rail road (from Kitchener to Stratford) to the CN South rail road (London to Dundas). The Hydro One corridor is 50 metres wide, and the new dedicated HSR line is also 50 metres wide, so it is impossible to be within the existing Hydro Line Right of Way (there are Hydro towers in the way!). It is necessary to avoid the Thames River tributary between Embro and Thamesford and this has to be passed on the west side. 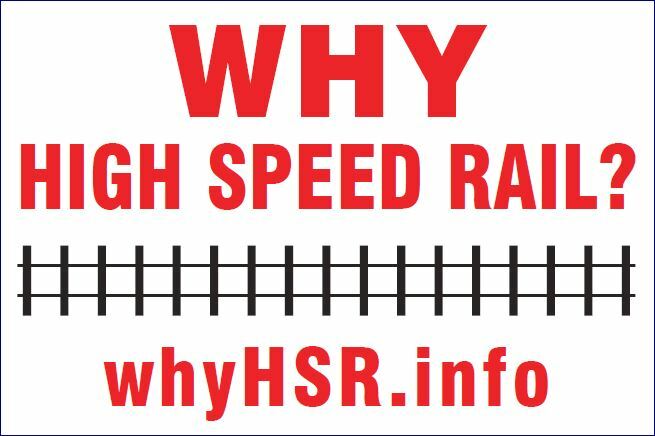 HSR requires a curve radius of 2.5 km so it doesn’t leave much room to manoeuvre. The “Proposed Route” on the main menu is our best guess as to where it will go. The map is not exact but we do know if it’s not going through your farm, it is going through your neighbours.